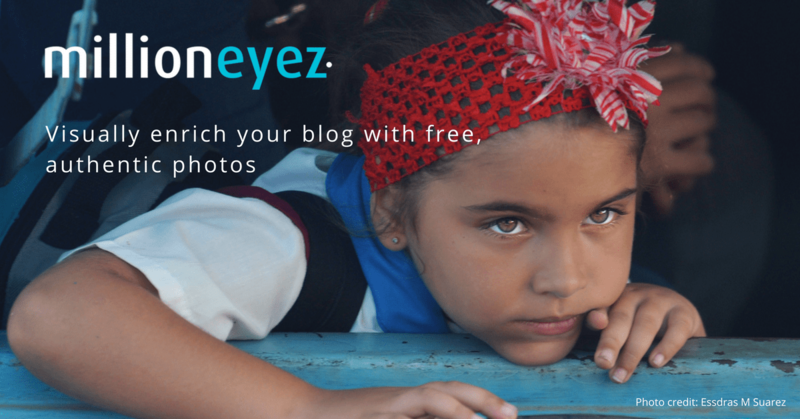 We recently came across Million Eyez which is a new photo sharing application to help create photo-rich content for next generation visual storytelling. The difference between Million Eyez and a simple gallery is that you don’t have to search for photos, just simply create, what they call, a photobox, make a photo-wish through their community and let enthusiastic photographers upload photos for you while they are still being credited as the owner of the original photo. Million Eyez sees themselves as a new way to visually enrich your content and engage with your readers, they also help bloggers and content creators to feel inspired when creating posts as everybody suffers from the dreaded writer’s block every now and then. Using their iPhone or Android Apps or maybe even their Word Press PlugIn, content creators can simply create and use community-driven photo collections and curate photos according to their needs. You can also select from their ready-made Photoboxes and invite your readers to become part of the story by adding pictures of their own. Search for Photoboxes that interest you. Read the description and understand what the curator is looking for. Upload photos to contribute your own point of view on the topic. Receive endorsements from the Photobox viewers. Make an impact. Your photos may appear in live articles, credited to you, with a link to your portfolio or website. You have full control over the photos you’ve uploaded and every photo will have your credit link. Search for Photoboxes or photos that can visually enrich your articles or blog posts. Our ready-made Photoboxes are full of authentic photos, each representing different points of view on the topic. Embed them into the heart of your stories. Your audience is also invited to upload their own photos to the Photobox, from within your content. All photos and Photoboxes on Million Eyez can be embedded into web pages for free. Open a Photobox in a topic you are passionate about, or simply to receive authentic photos you can’t find. Curate, approve, communicate and organize the photos. Gain additional traffic as the curator of a Photobox, as the photographers that have contributed to it share your article with their friends. Your Photobox may even appear one day in a leading magazine, credited to you. You have full control over the Photoboxes you’ve created, and will receive a credit link. Just take a look at the way the guys at Eyes Wide Open have Million Eyez to curate pictures throughout their entire website.